At Blue Thistle Corporate Solutions we believe that prevention is better than cure. 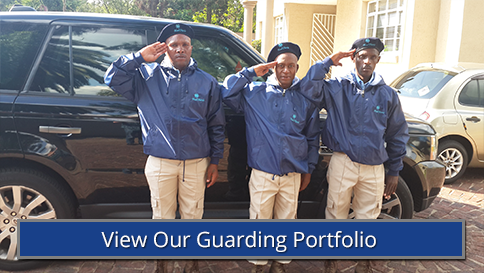 With our qualified and registered guards we take a pro-active attitude to ensure that our valued customers are treated as individuals and not a number. Our guards are fully accredited with the Psira institution, and receive further in house training at Blue Thistle Corporate Solutions to ensure that our clients are supplied with A-grade quality security solutions at affordable prices, and to ensure that our top quality guards are equipped to handle any situation at hand. Daily inspections, parades and operation debriefings are handled by the operations division. Management relations and reporting is an integral part of our guarding service, as are frequent site visits and client liaising from Blue Thistle Corporate Solutions head management and operations.